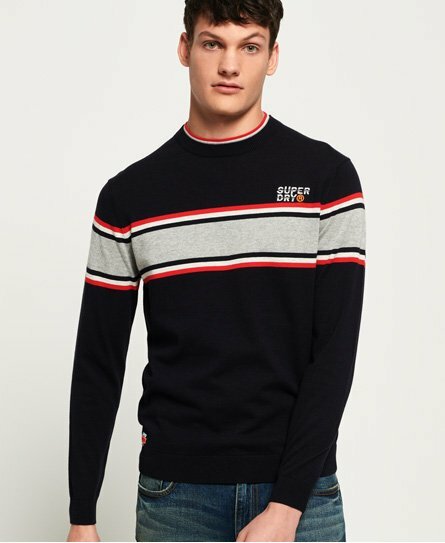 Superdry men's Parallel stripe crew jumper. This jumper features a striped panel design across the chest, ribbed cuffs hem and double layer ribbed collar. Finished with an embroidered Superdry logo on the chest and a Superdry logo badge above the hem.